Kind of a weird take, right? Hear me out on this. As I noted in our last DL Show of 2017, the smartphone world of 2018 doesn’t exactly excite me. I don’t say that because there aren’t new fun toys on the horizon that we’ll be able to play with, review, and chat with you all about. I say that because we’re kind of at an in-between year of sorts. For one, Samsung is certainly not about to re-do all that it changed in the drastically redesigned Galaxy S8. By all means, we’re expecting a slightly refreshed version of the S8 when the Galaxy S9 arrives. I’m sure it’ll be just fine and a really good phone, but we get happier when big changes show up. Similarly, that could be the case for Google too. Sure, they do need to decide who they want building their phones and they also need to source better components (like displays), but it wouldn’t shock me if Google pushes out similar phones again this year to the Pixel 2, only with added polish, current parts, and more consistency. And look, Motorola locked themselves into the same shape and design for three years, so we definitely know what’s coming there. As for LG, who knows what’s going on. The G7 is coming or it might not be or maybe it’ll just have a new name. The signals coming out of Korea there are confusing, so that has us worried, rather than optimistic. 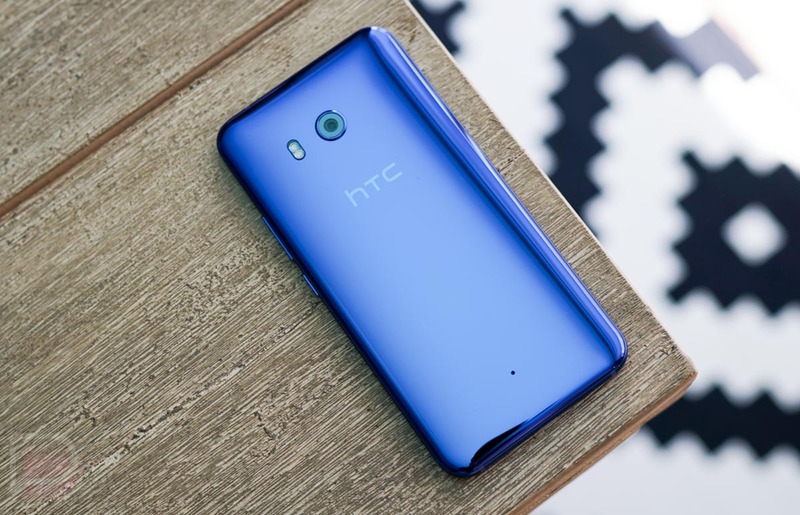 And outside of some smaller, lesser-known names, that kind of leaves us with HTC. I’m excited for HTC in 2018. Why? I think the biggest reason is the fact that HTC has been quietly sneaking back into the mix with upgrades to phones that you maybe didn’t notice because it’s taken a while (and no one is buying their phones). That slow progress has been built on top of their already-solid foundations, so we’re now getting phones from HTC that you probably shouldn’t ignore. Like, the HTC U11 had one of the best cameras of 2017. I’m not kidding. 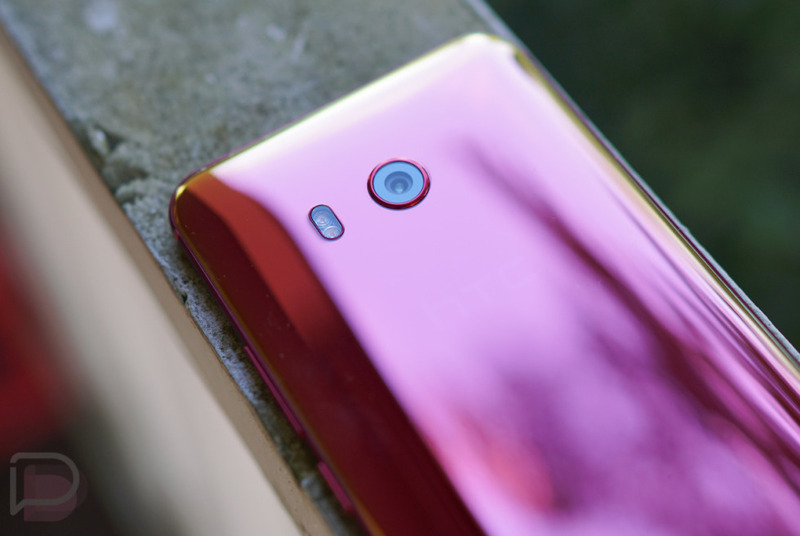 I went into our HTC U11 review thinking it would be average at best in the camera department, yet as I was going back through all of my video and stills, I was pretty blown away at what I saw. It was easily up there with Samsung’s phones at the time. Of course, they have now fully embraced the full-display trend through phones like the U11+ and newly announced U11 EYEs. That means on-screen buttons again too and the f*cking-finally-death of their terrible capacitive button setup with fingerprint touchpad/home button. They are improving water resistance with each release, going from IP67 in the U11 to IP68 in the U11+, and were the first to get innovative in the squeezy phone arena. But beyond those new surprises, HTC is still doing this ridiculously cool liquid metallic thing to the back of their phones (one of which is transparent! ), which has only become more appealing now that their phones are modern on the front. Let’s not forget that HTC still cares about audio more than anyone and continues to include DACs and BoomSound-enabled dual speakers and specially-tuned USB-C earbuds that actually sound pretty damn good. They always embrace Quick Charge, use the latest processors from Qualcomm, are one of the best at fine-tuning performance on Android, include SD slots, and seem to have found some battery magic too. Oh, and they are one of the quickest to update to the latest versions of Android. Now, we know HTC doesn’t have much of a presence on US carriers these days and that they tend to just sell their flagship phones unlocked. We also know that they skipped out on selling the U11+ here, which actually made me kind of mad. And there are no guarantees that anything will change in either of those areas for 2018. But again, HTC has slowly caught up and in many ways is doing a bunch of things to smartphones that are underrated yet pretty damn important to the overall smartphone experience. I’m looking forward to what you’ve got in-store for 2018, HTC.